This is the stone we use in our FE390. 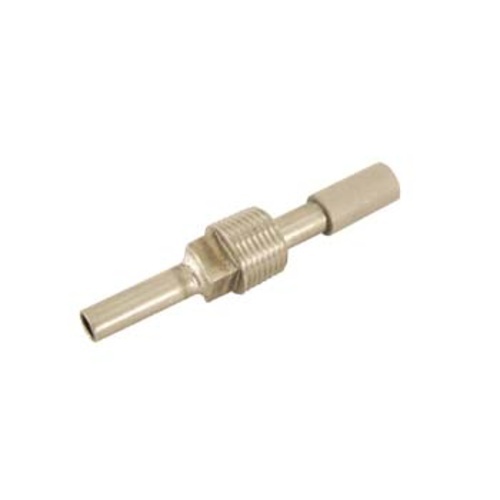 It has a 2 micron stone and threads into a 1/2" MPT fitting and 3/8" diameter for O2 line. Building my own online oxygenator as I didn't have any need for a thermometer and wanted to keep things compact. Integrated this into our wort out plate chiller and its great! Beer is fermenting quicker and cleaner. Boil it every other use to keep it clean. This was a great option for those looking to build their own inline oxygenation system. WOrked great for me and was easy with the threaded option.